A few months ago, a client was cleaning out several ancient filing cabinets when he noticed a letterhead with a familiar name. Dated March 7, 1995, I’d written a follow-up letter to a now-retired editor, looking for writing assignments. The letter never led to any work (though apparently it was carefully filed away for future reference). And now twenty-two years later, it has morphed into a tiny time capsule, sparking a look back at how much the freelance writing world has changed—and a few aspects that haven’t changed at all. 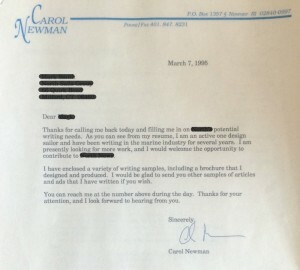 Now: By the end of the 1990s, email was the preferred form of solicitation and I had begun to establish a bit of name recognition within the sailing industry, so resumés and writing samples were usually unnecessary. By the late 2000s, I would simply provide potential clients with a link to this blog—or tactfully refer to one of my books. So this letter (and the many others I sent that year) was probably one of the last printed requests for work I ever sent out. Then: In 1995, my primary goal was writing for magazines (and writing fiction, which has been through its own complete evolution since then). 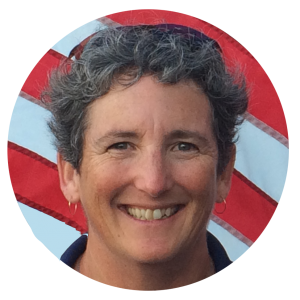 I did write several pieces for a wide variety of publications in the sailing industry (Sailing World, Cruising World, Seahorse, as well as several that are no longer with us). And what I quickly realized was that it was very hard to justify the time and effort put into one-off pieces. The key to making a living as a writer was syndication, which really only worked in a bigger industry—and wasn’t my cup of tea at all. Now: For the past ten years, magazine articles have been the spice while writing directly for companies has been the meat and potatoes. As selling has softened and websites have eliminate page count concerns, the demand for content has increased. Instead of syndication, now we all try to churn out as many words as possible—while also trying to keep the quality high, so they are worth what we’re paid for them. Today the idea of printing and mailing a letter like this would be laughable—which is why this one felt like such a step back in time. The client who’d carefully saved it for me was still in short pants when I mailed that letter, so for him it probably felt like something akin to the Magna Carta. 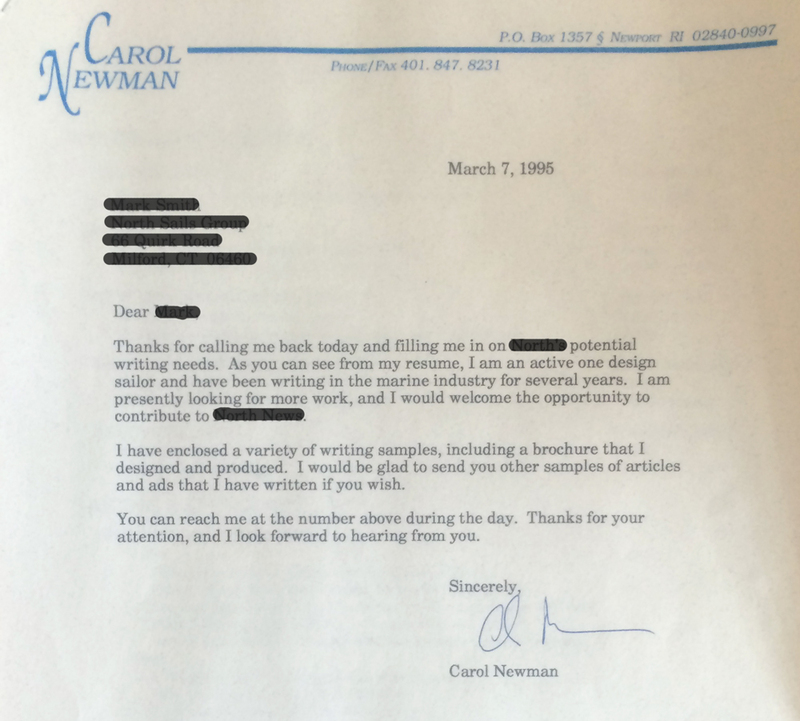 For me, the sight of a twenty year old letter head (without the “Cronin” I adopted three years later) brought me right back to those days of hopeful requests for work. Which brings me to what hasn’t changed at all. In the time it’s taken me to write this post, two new content trends have probably been announced. But for more than the past two decades, the value of high quality writing has remained a constant. Leaving out a comma can be very expensive (as a dairy in Maine recently discovered), and sloppy spelling on a company website makes the whole business seem less professional. I’m proud to report that a careful reread of this twenty-two year old cover letter, resumé, and writing samples still makes me proud. The format may be only somewhat less archaic than the Magna Carta, but fortunately good writing never goes out of style. I should hire you as my redaction agent!